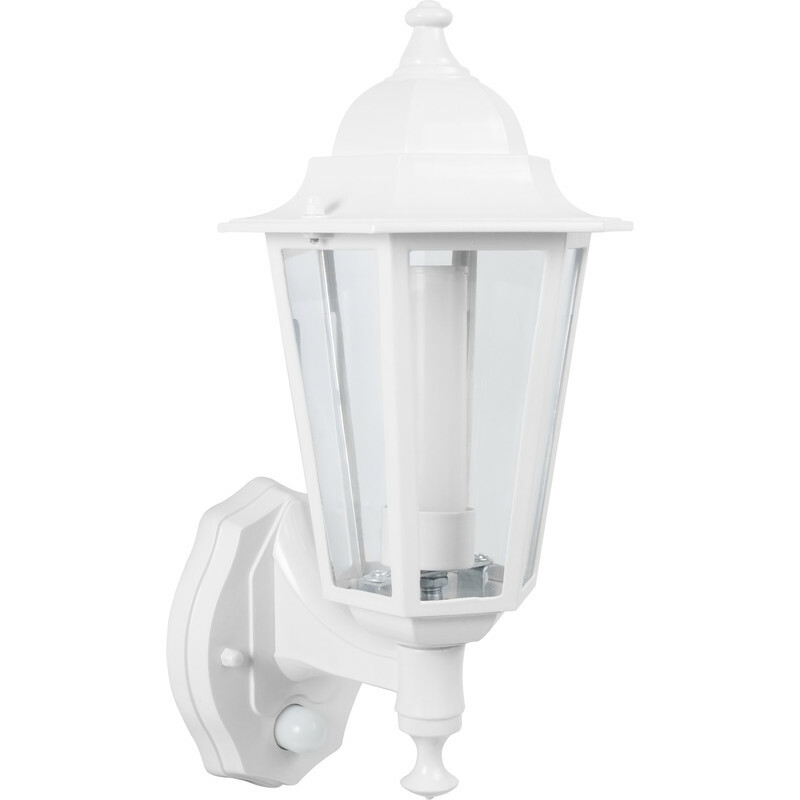 Provides space and security lighting. 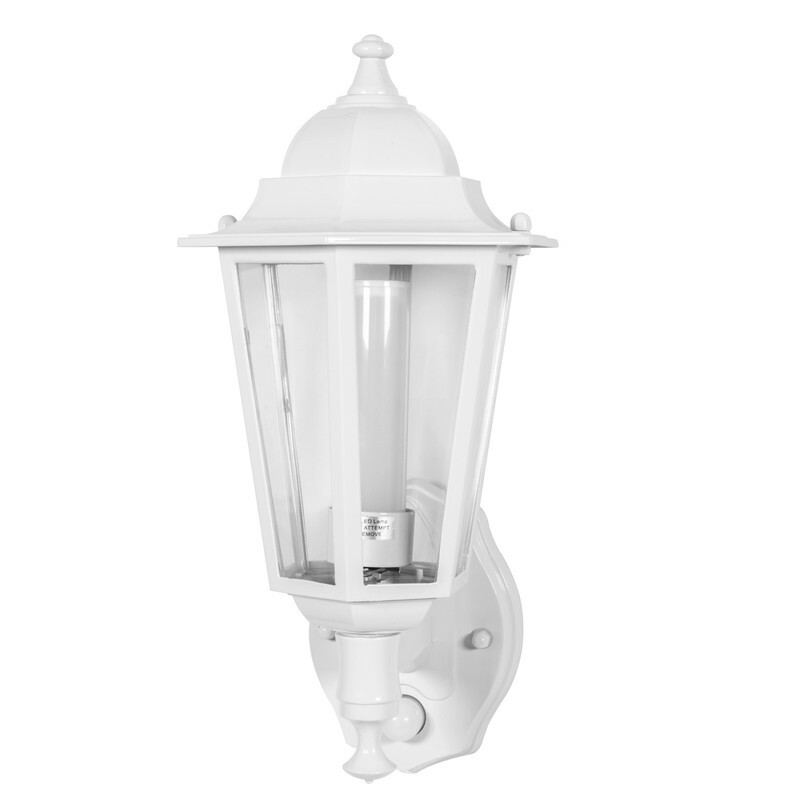 The photocell activates the light at dusk at high level, 8W 600lm and dims down to 2W 150lm after 60 seconds or last PIR detection and automatically switches off at dawn. 3000K warm white. Die cast aluminium. 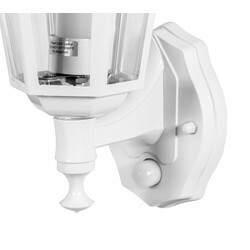 P-Lux 8W LED Photocell & PIR Coach Lantern White is rated 3.1 out of 5 by 14. Rated 5 out of 5 by sparky Keith from Not many of this type about! .... I bought this fitting to replace a fitting with a separate sensor as the sensor had packed up. 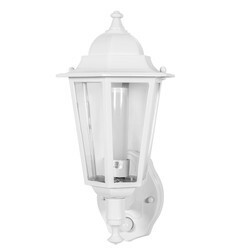 Couldn't find a replacement sensor anywhere but found this product which delighted the customer as the light is on low level to light up his house name & then the second level light gives courtesy lighting to light up the footpath. Very few dual output fittings available. A bit pricey but solved the problem. It's been fitted for 4 months now and I've heard nothing so am assuming all is well but would expect this to last several years so can't give top score for reliability. Rated 1 out of 5 by Angiz from Poor Product Very poor product. The case blocks Pir. Pir rang not even 1.5 Mtr. What we thought was glass was cheap plastic. The mount doesn’t fit the lamp. Overall rubbish for the price. Rated 5 out of 5 by Granddad P from A good low energy classic looking lamp. I am impressed with the low energy standby feature which when movement is detected comes full power. Was concerned about the PIR field as I am on a shared access but traffic to the adjoining house does not set it off. 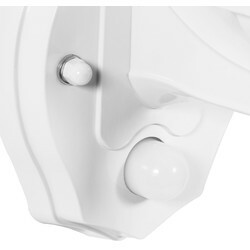 Rated 3 out of 5 by NobodyImportant from just okay As others have said, it doesn't finish flush with the wall because the mounting bracket is deeper than the backing plate. I ended up using about a 10mm bead of sealant to fill the gap. 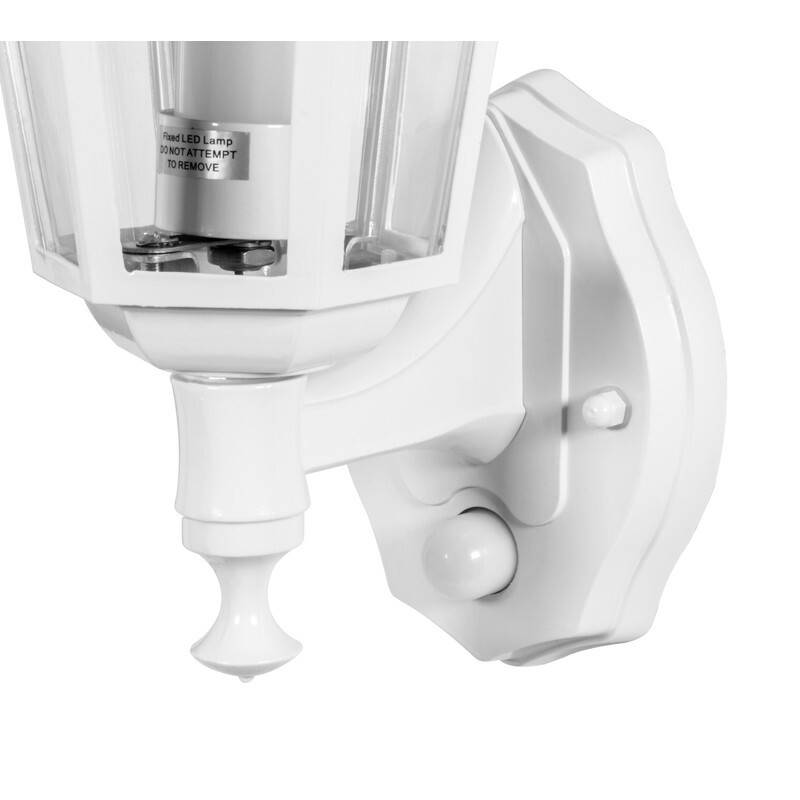 Also, the fixed bulb that came with the lamp is not mounted straight - it leans back at an angle of about 20deg, which upsets my OCD (i may just have been unlucky in getting a wonky one). The dimmed light is not particularly bright either. The 'glazed' parts are plastic (just an fyi if you're expecting glass). All things considered, seems overpriced for what it is. Rated 1 out of 5 by Irvinjps from Sent it back Questionable quality and doesn't sit flush with the wall.